Enrique J. Zaldivar | Inspired, Inc. The Global Leader Program – NEW! Enrique is deeply convinced leaders can grow and be stronger creators of conditions for success and organizations can become more effective, responsive and rewarding operations. He works with leaders who want to own the power and impact of their leadership. 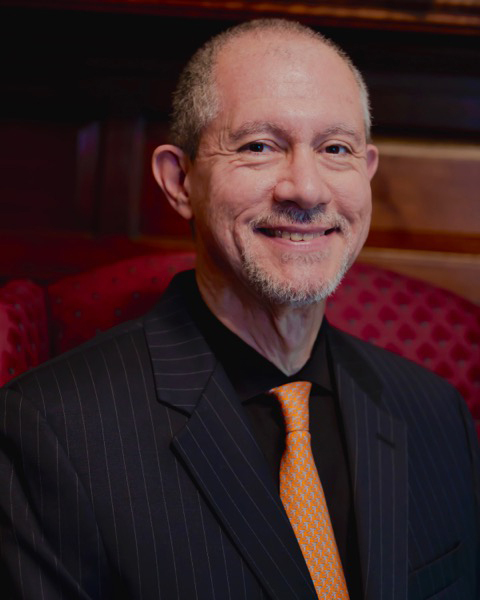 He is co-founding partner at Inspired Inc., adjunct professor of organization development at American University and serves on several boards. He has coached one-on-one more than 1,000 executives and managers and led leadership development programs for over 10,000 leaders in about 50 countries on five continents. Enrique lives with his wife and business partner, Suzanne, in the Washington, D.C. metro area; practices Qigong and meditation daily; and enjoys tennis, reading and painting oil canvases. They are the proud parents of two sons, both mechanical engineers. A “renaissance man”, Enrique has excelled in a number of professions — consultant, coach, executive, financier, civil engineer, university professor, and retail storeowner. He has been a natural leader in many sectors and roles. He knows the pressures placed on executives and skillfully guides them in a process of discovery, prioritization and action. He specializes in helping sophisticated leaders navigate complex systems in order to have greater impact. Thousands of clients, including CEOs and other C-level executives, leaders in the arts, elected leaders and mid-level managers, consistently commend his ability to enable them to make sense of conflicting data and create strategies that have a positive long-term impact on them and on their organizations. He has helped clients with integrated and sustainable change-efforts, leadership development, organizational effectiveness and record profitability increases. In 2001, Enrique co-founded Inspired-Inc., an international OD consulting & executive coaching firm dedicated to helping leaders and organizations manage change and create effective and sustainable futures. Previously, he served as Chief of Risk Management at the Inter-American Development Bank, where he worked skillfully with other executives, board members, high-level government officials from Europe, Asia and the Americas, and staff to implement a profound change in the Bank’s approach to financial risk management. Earlier in his career, as a civil engineer, he managed the construction of about one hundred new buildings in Mexico. As a young man, he managed his family’s business, Zaldivar, S.A. (a small retail chain) in Mexico City, reaching same-store yearly average revenue growth during a severe economic downturn, while achieving double digit annual profitability growth. Enrique teaches the courses Global Diversity & Cultural Capacity, and International OD Consultation, at American University’s M.S. program in OD in Washington, DC. He has also taught at the School of Psychology at Universidad Iberoamericana, as well as the Engineering Schools of LaSalle University and Universidad Nacional Autónoma de México (UNAM), in Mexico City. Enrique received a: BS in Civil Engineering from La Salle University in Mexico City, MS in Operations Research and PD in Management Science & Finance, both from George Washington University, and Certificate in Leadership Coaching from Georgetown University. He is also certified to administer several 360 and psychometric instruments.